CASI’s latest publication, Defying the Odds: The Rise of Dalit Entrepreneurs, is a collection of short biographies of 21 Dalit entrepreneurs who have overcome unimaginable obstacles to achieve immense success. Their inspiring stories combine “grit,ambition, drive, and hustle-and some luck.” Read an excerpt of the book which was shared on Yahoo India here. The book was recently highlighted in an article for SAS Frontiers, the magazine of the School of Arts and Sciences at the University of Pennsylvania. Read the article here. Two of Defying the Odd‘s authors, D. Shyam Babu and Chandra Bhan Prasad have written an article about the CASI Dalit entrepreneurship project and survey of 1,000 Dalit entrepreneurs in The Hindu. They argue for a nayi soch (new thinking) on social justice in India which would facilitate Dalit participation in the economy in a more meaningful way, as “job givers” in addition to being “job takers.” Read their argument for entrepreneurship here. SA Aiyer recently wrote a review of Defying the Odds for his Times of India blog, “Swaminomics.” He describes Defying the Odds as “the most heartwarming book of 2014.” Read his pointed analysis of how Dalit entrepreneurs spoil the hero/villian narrative in the review here. Order your copy of the book on Flipkart or get the Kindle version (international). 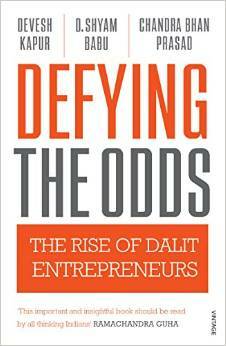 Categories: Defying the Odds | Tags: Dalit Entrepreneurship, Dalits | Permalink. The Kindle edition of Defying the Odds is now available in the US on Amazon.com. Be sure to get your copy! You can read more about the book on our website. 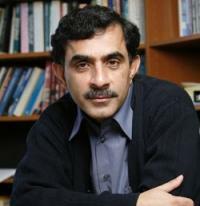 Also, don’t miss CASI Director Devesh Kapur’s latest op-eds. In an article for Business Standard, he discusses the trade-off between competence and loyalty in government bureaucracy and argues that the Modi government should take a risk by bringing in new talent. Read the story here. Kapur also writes about the need to build stronger state institutions which are better at promoting public good in an article for The Economic Times published today. Read the story here. Categories: Defying the Odds | Tags: Dalit Entrepreneurship, IAS, Narendra Modi, post-election | Permalink.